Ultracorr Coil Coating – Infinity HVAC Spares & Tools Pvt. Ltd. 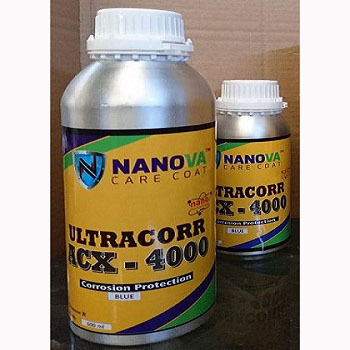 Provides excellent anti-corrosion performance in any harsh environment. Excellent adhesion and film hardness. Excellent heat and weather resistance. Can be applied at both industry or at site. Good resistance against chemicals, acids and alkaline cleaners.